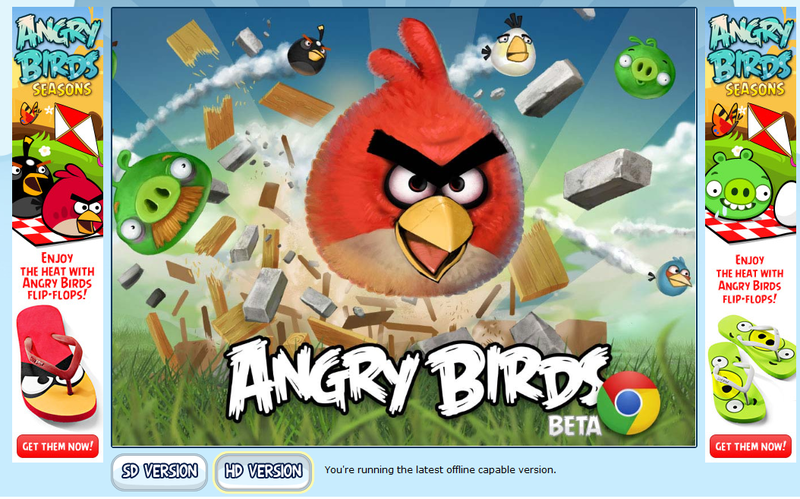 A couple of weeks ago angry birds -web- got a new version that is capable of working offline with HTML5 Cache ! OR simply write chrome://settings/cookies in your address bar ! 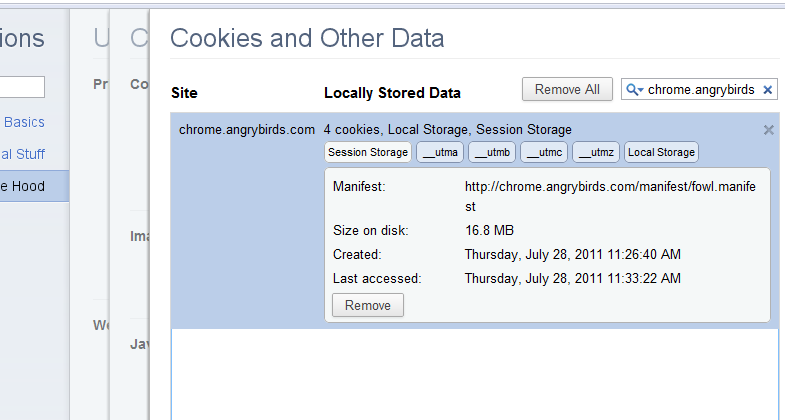 You will find a long list of all sites “Cookies and Other Data” in your browser ! Now.. open up your angry birds web app and wait for the installation. Posted on July 28, 2011, in Chrome and tagged angryBirds, chrome, google, HTML5, tweaks, web. Bookmark the permalink. 4 Comments. when i play the first box i can play fine, but when i need to register it never gets my account and i cant login, what would be the problem?